Your day-by-day itinerary now includes Escape Discovery Adventures. The adventure continues: admire the natural beauty at Royal Botanic Gardens, take a stroll through Melbourne Central, soar above the sights with a balloon tour, and make a trip to Flinders Street Station. To find where to stay, traveler tips, more things to do, and tourist information, refer to the Melbourne road trip website . If you are flying in from Hong Kong, the closest major airport is Melbourne International Airport. Expect a daytime high around 23°C in April, and nighttime lows around 11°C. Wrap up your sightseeing by early afternoon on the 28th (Sun) to allow time for travel to Sydney. On the 29th (Mon), take a stroll through Darling Harbour, then take in the views from Sydney Harbour Bridge, and then kick back and relax at Bondi Beach. 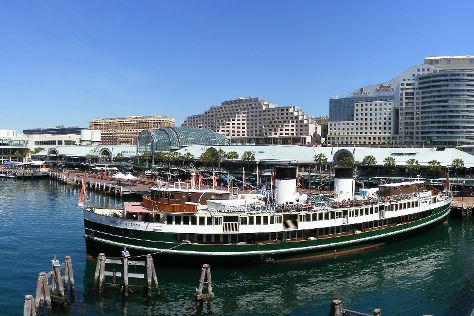 Keep things going the next day: get some thrills on the water with a speed boat tour, then see a show at Sydney Opera House, and then get to know the fascinating history of The Rocks. To find other places to visit, where to stay, and other tourist information, you can read our Sydney trip planner . Fly from Melbourne to Sydney in 3.5 hours. Alternatively, you can do a combination of shuttle and flight; or drive. Traveling from Melbourne in April, expect somewhat warmer with lows of 17°C in Sydney. Finish up your sightseeing early on the 30th (Tue) so you can travel back home. 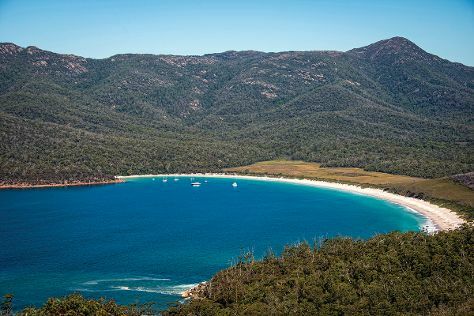 Kick off your visit on the 1st (Wed): kick back and relax at Wineglass Bay Lookout and then tour the pleasant surroundings at Coles Bay Jetty. For more things to do, traveler tips, other places to visit, and other tourist information, you can read our Launceston route planner. Fly from Sydney to Launceston in 5 hours. Alternatively, you can do a combination of flight and bus; or do a combination of train, ferry, and bus. Expect a bit cooler temperatures when traveling from Sydney in April; daily highs in Launceston reach 20°C and lows reach 7°C. 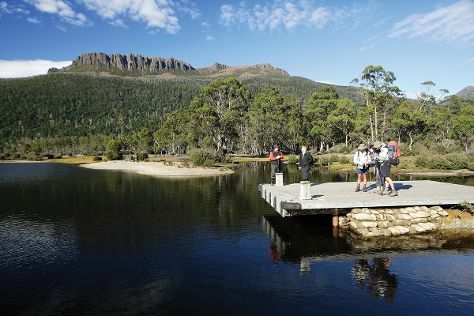 Wrap up your sightseeing on the 1st (Wed) early enough to drive to Cradle Mountain-Lake St. Clair National Park. Take a break from the city and head to Lake St. Clair and Barn Bluff. To find maps and other tourist information, read our Cradle Mountain-Lake St. Clair National Park vacation planner. Getting from Launceston to Cradle Mountain-Lake St. Clair National Park by car takes about 3.5 hours. Other options: do a combination of bus and taxi; or do a combination of bus and car. You will leave for Coles Bay on the 4th (Sat). To find where to stay, maps, ratings, and other tourist information, go to the Coles Bay online trip itinerary builder . Traveling by car from Cradle Mountain-Lake St. Clair National Park to Coles Bay takes 5 hours. Alternatively, you can do a combination of car and bus. You'll set off for home on the 5th (Sun).